We keep organically growing at a rate of 30%+ by investing mostly in coffee quality, technology and overall customer experience. In this article we share the most significant steps for us in 2018. We improve lives by delivering outstanding coffee. We are driven by technology and by our relentless pursuit to elevate user experience. This is the adventure we share with you. We made significant technical progress: We finally launched a mobile responsive website in October. We are now running on modern and scalable systems, a technical debt it took us 4 (!) years to close. We made first moves into transforming our organization into product teams. We tested cross-functional task forces with no hierarchy, a first attempt to develop a more customer centric organization. This is good read about the topic, especially if you are not a software company, by Christoph Behn (CEO Die Kartenmacherei). We equipped our product team with more developer power, increased product management expertise and UX capacity. We believe, a key ingredient for growth. We grew our customer experience team and included a repair unit. We believe asking any kind of question and getting a solid and fast answer must be an essential part of our customer experience. We grew our HR team and increased investment in people development, also key for growth. Our people turnover rates are extremely low, thanks to our culture and the fact that we do what we do I guess. People at Coffee Circle apparently come to stay. We want to reward this in the future even more, by offering better career prospects in Specialty Coffee. We introduced a sabbatical rule. Employees being with us for 3 years, get one month unpaid sabbatical, after 5 years up to 2 months whereas 1 month will be fully paid. We want people to travel, to do things in their life which take more than 2 weeks. We encourage to make use of the rule. We started to measure our employee satisfaction with “Peakon”. I was skeptical if we really would get actionable data. In the beginning we didn’t, but when HR actively started analyzing, answering to comments and extending questions, I started to like it. We increased our eNPS by around 10 Points to 71, which is apparently also far better than our industry benchmarks (whoever they are …). More details, see here our dashboard. We further started to work with Perdoo as our OKR software, had a first full year cycle with the OKR concept. I think we did ok, but we need to integrate it even more in our daily operations. Overall, I think it is the right concept if we want to keep our focus in times of ongoing growth. More info here! We discovered the art of blending. We launched two darker roasted filter blends. Toleyo (Colombia, Indonesia) and our masterpiece, Karibu: Best graded washed Kenyan, Ethiopian and Colombian. A complex, clean and all-in-all new-level filter coffee in our range. Both coffees are very successful, in terms of customer feedback and volume, both with a current roasting volume of already around 1 ton/month. Why blending? 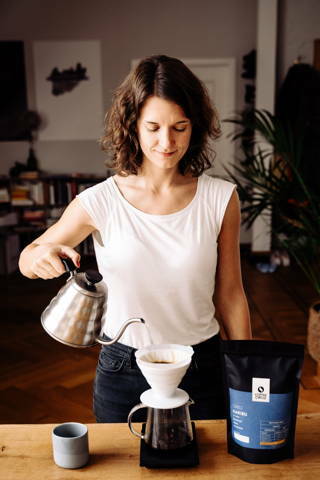 We know, consumers want more complex filter coffees. It’s too easy to say that consumers don’t understand Specialty Coffee and turn your back on blends. I truly believe, that you can only be a successful Specialty Coffee roaster, when you start creating a superior customer experience for any interested coffee drinker. For us, blending on the highest level is a next level in our Specialty Coffee Journey. It is further an ingredient to manage scale as it increases flexibility and reduces risk in green buying. We expanded our grower quality improvement program in Ethiopia: We now work with 15 Cooperatives, and installed 4 new washing stations. A program of significant size (>10.000 farmers). We run it with the Welthungerhilfe, local Partners, co-funded by the German government. Those coffees are not exclusive for Coffee Circle, so we are happy to facilitate those coffees for any interesting roaster or trader. We are talking about washed 85+ coffees from the area around Agaro and Jimma. Anna and me went to DR Congo last April, my most exciting trip last year. We decided to buy coffee and to engage in a quality improvement program. We will build a sensory lab in Butembo for 2 Cooperatives, supporting around 3.500 farmers. We hope the Ebola situation will improve again and that the election aftermath will lead to a stable environment for this year’s harvest. Mid-term, we hope to contribute with our investment to building a new, stable Specialty Coffee origin. Here’s our launch Video. Further, there is a NY Times journalist, writing regularly on the development in DRC. We traveled to Brazil to build up new direct trade relationships. Stay tuned, soon there will be our first single origin coffee from Brazil. We just launched a 100% Specialty Robusta, honey processed. I am very excited to dive deeper into Robusta, and I am eager to get feedback from our customers. We roasted >250 tons of coffee, apparently an annual volume a 60kg Probat hasn’t done in history before (that’s what Probat told us, is it true?). That also had its implications on our packaging process and Quality Management routines, but we managed very well! But I guess it is time to look for a space for a new roasting facility and upgrade our setup. Let me know if you know anything in Berlin. We further launched the second phase of our “WaSH” Project. 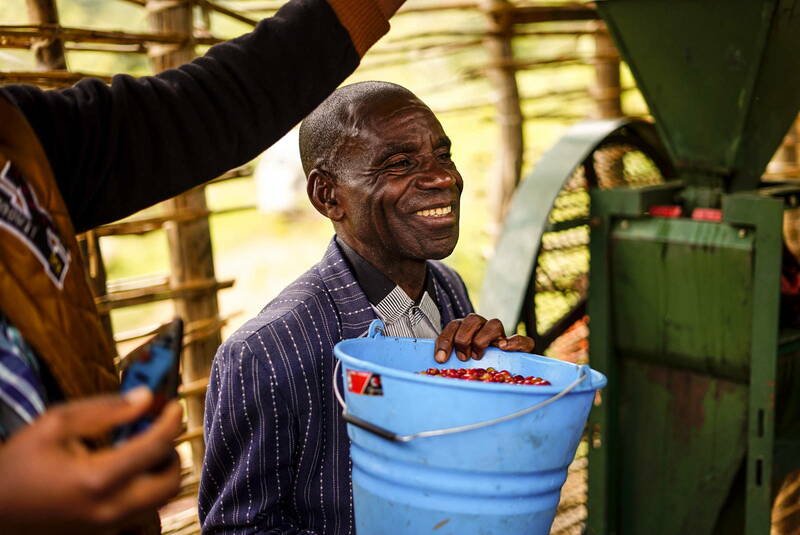 In 2019, we expect to cap a second, even stronger spring (8 liter per second) and give access to additional 12.000 people in 4 Cooperatives around Jimma. We’ve been working extremely well with Instagram, especially Stories. A channel, I believe will become our Coffee Circle TV in the upcoming years. It is an art of itself, doing it right is difficult and time consuming. I personally failed, its really difficult to not produce just boring stuff. Impact on sales and clear KPIs, however, is hard to measure for us. So it is for us to find ways to effectively grow our follower base. So, please follow us :-)! We reduced our Amazon presence, especially our equipment offering, ending in significant lower sales over the year. For some brands and products, Amazon will stay a price race to the bottom. We don’t want to be part of this. We also see Amazon stepping in as seller whenever product margins and volumes are attractive. That’s not a battle, we think is smart to fight. The good thing: We don’t need to fight it. Another great thing: Now, the first time, we make a profit on Amazon, before we didnt (and didnt know either). We keep investing in high quality content and branding. Performance Marketing stays an important part of our Marketing. We do it incredibly effective, but we couldn’t prove its strategic value for healthy long-term growth. We mainly sell equipment through performance marketing. Overall, we kept down our Cost per Order (4 EUR) by mainly working on retention and CLV. Just in December, this led to 30% more sales compared to 2017, at 10% less orders from new customers, healthy! We started to work with ZENLOOP to measure the NPS (Net Promoter Score) of our customers at several touchpoints. Our subscription customers are the happiest clients, with an NPS of 75+. We further measure customers who bought only equipment (73), only coffee (70) and also let them evaluate their unpacking experience (69). We keep growing our D2B Business. Companies more and more realize that switching to Coffee Circle is not only changing the supplier, but an easily made investment in employer branding and CSR – because we take care of it. Look at Zalando. Further accounts are Trivago, Idealo, BCG, Vice Magazine, Bergfreunde, Mykita or TomTom. Nevertheless, we are still not happy with our D2B user experience. Thus, we did a survey to figure out the most important pain points of companies when searching for a new coffee supplier. It became obvious that there is a huge potential in the market. Most of the companies are completely lost when it comes to properly comparing the different offers they receive for machinery and coffee. We further had to split our logistics. We operate now two warehouses, one in Marzahn where we work with a service provider who handles all orders with equipment. And the other one at our HQ where we handle coffee-only orders. The transfer was very intense and we had to transfer a lot of our knowledge to our partner. Thanks to our Logistics crew, it finally worked, but it was a hell of a job. We will transfer it back in-house again in 2019. Not because we are bored, but because we can do it better and cheaper. And of course, we organized the 2nd Chemex World Championship in our roastery during the Berlin Coffee Festival! A fun event we intend to continue and grow. We see an ongoing support from our shareholders. With Karl-Erivan Haub we lost a very early backer of Coffee Circle in a tragic event. 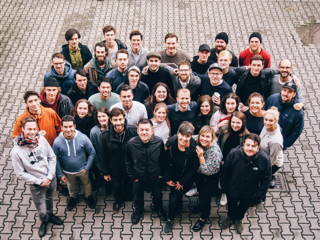 Tengelmann Ventures stays involved of course, with Christian Haub, along with Howzat Partners, elea foundation, Monkfish Equity and further active individuals and families incl. 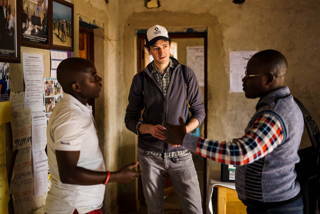 my co-founders Moritz and Robert. We agreed to set up an advisory board in 2019, with 2 representatives from shareholders and 1 for myself. This is to better channel advice from our shareholders, to get experienced and coordinated input for me and to speed up decision making. I was looking forward to this for some time now, we will start the work in Q1/2019, we are still looking for candidates to join the board. All in all, there is a common understanding amongst our shareholders that we keep focusing on healthy growth, meaning steering the company at EBITDA profitability and investing smartly in growth. We see an increasing number of fire sales and insolvencies among eCommerce startups of our generation in Germany. I believe our Direct-to-Consumer model, being more and more vertically integrated and growing at a rather moderate pace, takes longer, but in the end creates higher value for shareholders and is therefore the right strategy for our business. Speaking of investors. We are looking for like-minded investors. It is difficult to find investors who understand Specialty Coffee, Direct to Consumer models, the importance of branding, eCommerce and the importance/price of technology. So, either I spoke to the wrong people, or I just got much more picky in selecting investors in the last years. Bottom-line: We’re looking for great people to join us, as investors, board members, coaches or advisors. The year was an important year for Coffee Circle. We can be very proud of what we have achieved in 2018. I am grateful how much energy the entire team invested in pushing us to the next level. And I am grateful to work with such a respectful, humorous and foremost professional crew. In 2018 we outperformed expectations and prepared us for future growth. In 2019 we will break new ground again. We are very much looking forward to lift Coffee Circle on an international stage, and to literally first time open our doors. That development will change Coffee Circle, it will set an important milestone on our journey to become the leading Specialty Coffee roaster in Europe. Lets see if we live up to our expectations, but one way or another, I am sure we will celebrate the journey! This is the adventure we share with you, I will keep you posted.